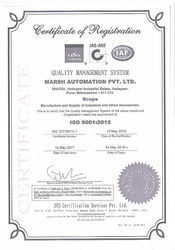 Established in the year 1980, Marsh Automation Private Limited is making a difference in the automation industry by being the most promising Manufacturer, Exporter and Importer firm delivering premium range of Industrial Products. We are backed with a strong sense of innovation which reflects in our wide gamut of quality products including Electric Actuators, Motorized Valves and Industrial Dampers. In order to attain the quality commitments we leverage next generation manufacturing techniques and develop a robust product range featuring beneficial attributes of rust resistance construction, leak-proof designs, excellent finish, remote control facility, and minimal maintenance requirements. We face the challenges of the exacting clients and persist the opportunities to establish client oriented business strategies where we are accountable to gain in-depth market insights. Owing to our modernized R&D setup and assiduous workforce we have developed the much anticipated line of products that finds its applications in water, power, steel, sugar, and paper sector. Moreover, we share the knowledge and industrial expertise of leading entities by importing best suited inventory of raw materials for our products. In addition to this, we have fulfilled our quality promises by being the trusted exporter firm delivering unmatched quality products to the UK, US , U.A.E , Europe, Sri Lanka and Nepal. We take pride of our strong client base in the country which includes renowned entities such as Thermax, KBL and Rieco. Our guiding force Mr. R.S. Deshpande is a keen industrialist that inspires us to optimize our potentials. His knowledge and motivation makes us proactive in creating a strong presence in the industry. 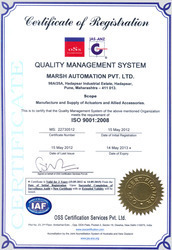 Our organization has gained immense recognition in the industry as a trustworthy form in this domain, due to our strong quality management system. We work in the most cohesive manner to ensure that no compassion is acceptable about product quality. Our efficient team of quality analysts conducts cautious tests at all stages of production process to make certain that flawless products are delivered at clients’ end. In order to manufacture these products, we make use of only quality-tested raw material that is sourced from the authentic vendors of the industry. We have established a state-of-the-art infrastructural facility that is spread over a wide area of 10,000 sq. feet. Our infrastructure encompasses varied functional units like production, procurement, quality testing, research & development and warehousing & packaging. These units are setup in synchronized manner so that the entire business operation is conducted in a smooth and organized manner. Installed with the advanced production machinery and equipment, our production facility enables us to meet the qualitative as well as quantitative requirements of our clients. We have a team of highly experienced professionals, owing to which we have achieved tremendous growth and success in the industry. Our dexterous professionals are the indispensable part of our organization, who put forward their sincere efforts to provide the highest level of satisfaction to clients by meeting their exact requirements. Due to their dominant attention, we ensure that the entire manufacturing process is carried out as per the set industry standards. Further, we also regularly arrange training sessions and workshops for our professionals to keep them upgraded as per their existing industry requirements. We are the leading manufacturer and supplier of premium quality range of Electric Actuators, Regeltek Actuators, Emtork Electric Thrusters, Motorized Valves and Gear Boxes.